There are 8 school sports partnerships across the county. Each partnership is in contact with tennis clubs/coaches within there local community and many primary schools run coaching sessions before, during and after school clubs. Schools are encouraged to enter the School Games mini tennis, Aegon Team Tennis and Road to Wimbledon events. If you would like more information regarding tennis within primary/secondary schools please contact any of the School Games Organiser’s listed below or contact Stuart Silvester NLTA Coach on 07876 350825. The Norfolk LTA Primary Schools Tennis programme was introduced in October 2017. 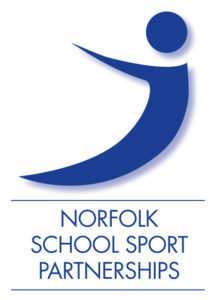 In consultation with the Norfolk School Sports Partnerships, it was decided to pilot a scheme across Breckland. This would include schools from Attleborough, Thetford, Watton and Methwold. Affiliated local tennis clubs were also asked if they would like to take part in the pilot. The programme would need to be delivered by affiliated coaches associated with these clubs. So with a local club and coach signed up, Schools could receive upto 50% funding from Norfolk LTA if the programme included weekly curriculum time delivery and an after school club. The following primary schools took part: Northwold, Methwold, Weeting, Gt Ellingham, Rocklands Community, Hingham and Hethersett. All schools received coaching and the opportunity to take part in competitions organised within the programme. In total over 500 children received coaching with over 90% playing tennis for the first time. All participants were then invited to summer camps and hub venues including Hingham Tennis Club and Iceni Academy. The programme continues into a second year and we hope to report back on a good uptake in some new junior members at local participating clubs. Moving forward, all Breckland schools will continue to be supported. The programme will now also focus on schools based in the Kings Lynn area of Norfolk. At present the plan will see 10 schools receiving a free taster session at King Edwards School and will be offered a coaching package afterwards. Two other schools, within walking distance of KES, will receive curriculum and after school clubs throughout the academic year, with a midwinter break during december-january.